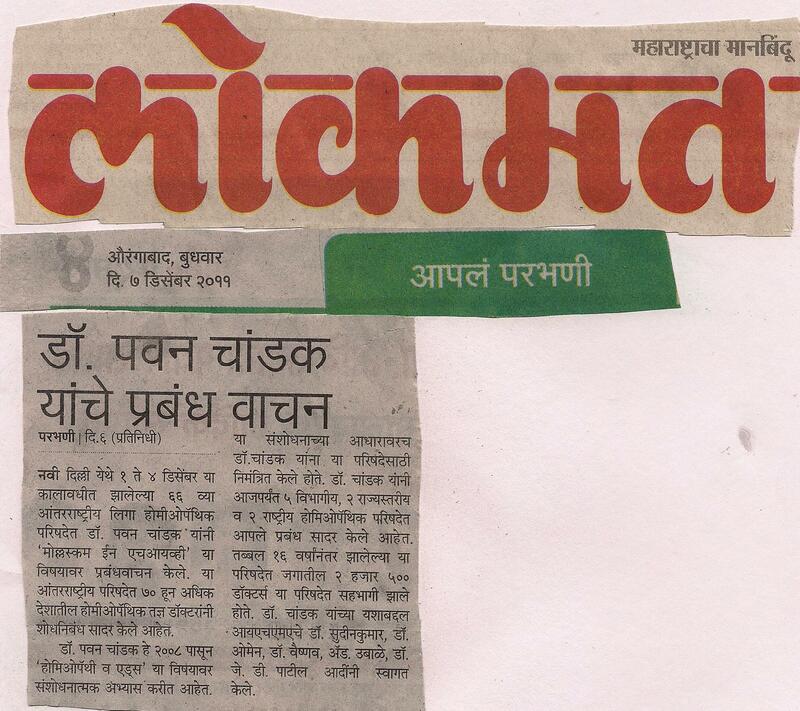 Report of Free Medical Camp & Inauguration of IHMA Free Clinic at Parbhani on 9th March 2008. Report of SEMINAR ON “MODERN CONCEPT OF CANCER AND HOMOEOPATHY” organized by The Singhbhum Homoeopathic Medical College & Hospital Jamshedpur. 15th All India Homoeopathic Scientific Seminar, Rajkot – 2007 Organized by HMAI Gujarat State Branch, Hosted by HMAI Rajkot Unit at Rajkot on 21st, 22nd & 23rd of December 2007.
International Vocational Training Course-2008 (Oct 27 2007 ) by Predictive Homoeopathy in Goa (India). Homoeopathic Research and Charities organizes 'Sensation and Beyond into the world of source'. A ten day workshop from 13 Feb to 23 Feb 2008 at Goa.